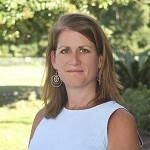 Mrs. Stephanie Herb was born in Savannah and is a graduate of St. Vincent’s Academy. 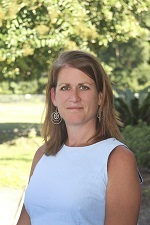 She graduated from Armstrong Atlantic State University with a degree in History and is certified in the Orton Gillingham method of reading instruction. Mrs. Herb taught in the public school system and, for eight years, taught at St. Michael’s School on Tybee Island. Mrs. Herb is married and is the mother of two girls. One of her girls is a Freshman at USC and the other is a Sophmore at St. Vincent’s Academy. Her favorite hobby is reading.